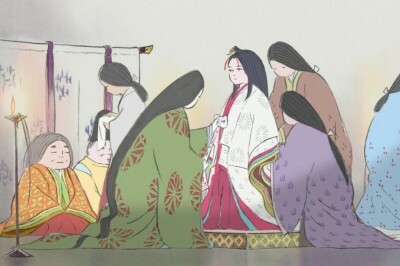 The previous US teaser trailer for The Tale of Princess Kaguya sure looked stunning, but we didn’t get to hear the movie’s English dub. But this new trailer fixes that problem, letting us hear the voices of Chloë Grace Moretz, James Caan, Mary Steenburgen, Darren Criss, and Lucy Liu. This is currently the second-to-last film from Studio Ghibli, with just one more film awaiting international release; after that, any future movies are currently uncertain as the studio has winded down production for now.